An Atrocities Prevention Board: Useful Tool or Farce? 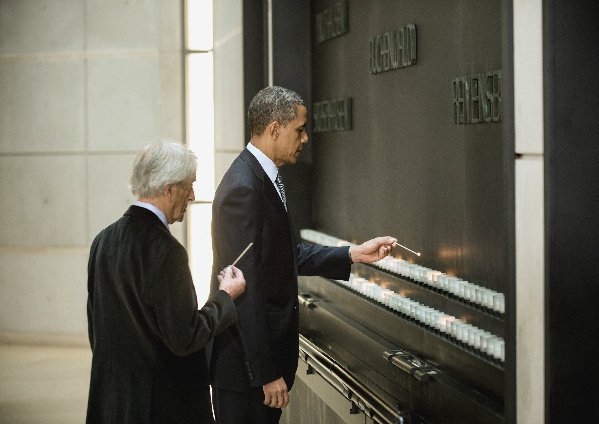 President Obama at the Holocaust Memorial Museum in Washington, D.C. In a speech at the Holocaust Memorial Museum in Washington D.C. last week, President Obama announced the creation of an Atrocities Prevention Board. This interagency body (with members from the Departments of State, Defense, Treasury, Justice, Homeland Security, and others) is designed to monitor situations that could lead to mass atrocities and recommend timely actions to prevent escalation. This announcement drew swift and scathing responses from a variety of critics. Another critic, realist scholar Stephen Walt, argues that the board is problematic for three reasons: (1) it will increase the likelihood that the U.S. will get involved in more unwise and costly interventions in an effort to be the “global police,” (2) it will do nothing about the core strategic problems that prevent states from intervening in humanitarian crises, and (3) it helps perpetuate the myth that the U.S. has clean hands and should be judging others’ behavior when it has been responsible for atrocities in the past. Who makes a more persuasive case: the advocates of an Atrocities Prevention Board or its critics? Are we kidding ourselves that this board can actually make a difference, or does it have the potential to be a useful policy tool that saves lives, saves money, and stops budding conflicts from escalating into the worst kinds of atrocities? A tip of the hat to Chris Blattman, who pointed out a great new article on the role of Mille Collines (RTLM) “Hate Radio” in the Rwandan genocide. The article by David Yanagizawa demonstates fairly conclusively that RTLM’s broadcasts helped to instensify the genocide. The paper is definately worth a read. Efforts to rescue the failing auto industry continue, as President Bush last week announced a $17.4 billion package targeting the big three American auto manufacturers. The Canadian government has stepped in with a C$4 billion package of its own, and pressure is growing on the British government to follow suit. 1. Despite the announcement of a record production cut by OPEC last week, oil prices continued to slide, falling below $34 per barrel—a four year low—on Friday. Many analysts have raised concerns about the stability of oil prices, though oil producers and oil consumers remain at odds over precisely what the price should be. In an interesting side note, falling oil prices have also undermined the ability of Venezuela to pursue its policy of supporting like-minded governments in Latin America. Chavez’s government has pledged $30 billion in direct payments, oil financings, and other initiatives developed through the Bolivarian Alternative for the Americas, whose members include Venezuela, Cuba, Bolivia, Dominica, and Honduras. 2. Prime Minister Yves Leterme’s government in Belgium resigned on Friday after the country’s supreme court found signs that the government had attempted to exercise undue influence over the country’s courts. The resignation of Leterme’s government is the most recent indication of political instability in the country, sharply divided along linguistic lines and perpetually in danger of dissolution. The government has been in office since March, after taking more than nine months to cobble together his five-party coalition. 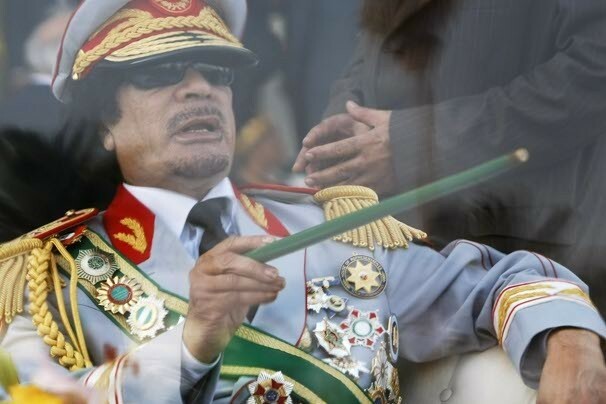 As head of state, King Albert II must now decide whether to accept the resignation and schedule new elections, or try to form a new coalition out of the country’s sharply divided parliament. 3. Palestinians living in the Gaza Strip and Israelis living near it are bracing for a renewal of violence this weekend as the Egyptian-negotiated ceasefire between the Israeli government and the Hamas-led government in Gaza ended on Friday. The fragile ceasefire has been in place for six months, but both sides have regularly violated the agreement. In response to rocket attacks against Israeli settlements, the Israeli military has closed all entry-points into Gaza, effectively cutting the region off from the outside world and creating severe shortages of key materials, including food and fuel. The Hamas government asserts that it will not stop the rocket attacks until the blockage is lifted. 4. On Thursday, a United Nations court found Colonel Theoneste Bagosora guilty of genocide, crimes against humanity, and war crimes in Rwanda and sentenced him to life in prison. Bagosora assumed leadership of the military, and became the de facto leader of Rwanda after President Huvenal Habyarimana’s plane was shot down in April, 1994. The downing of the plane marked the beginning of the mass killings, which resulted in the murder of more than 800,000 Tutsis in Rwanda. The conviction makes Bagosora the highest-ranking member of the Hutu-dominated Rwandan government to be convicted. 5. The United States is preparing to expand its mission in Afghanistan, projecting an increased force commitment of between 20,000 and 30,000 soldiers by next summer. The extra troops are necessary to fight a growing Taliban insurgency centered in the east and south of Afghanistan.